It happens because of the special composition of the feathers: they are formed by silky and smooth filaments with intertwined air chambers. As a consequence, the body temperature is maintained stabilized, preventing from overheating. Pato Rico has developed a whole process of feather treatment, from cleaning, to classification, sterilization and dust removal. Following all the European standards and requirements, all Pato Rico products are subjected to a special treatment against the growth of mites, fungus and bacteria, preventing from breathing and allergic problems. Thus, they are the perfect choice for people allergic to domestic dust. For us, the sustainability, the respect for the environment and the animals, are very serious matters, therefore, all the feathers in our products come from ducks used in food industry. We do not use duck feathers that have been plucked alive or overfed. Scientific test have proved that the excess of perspiration can cause a restless sleep. 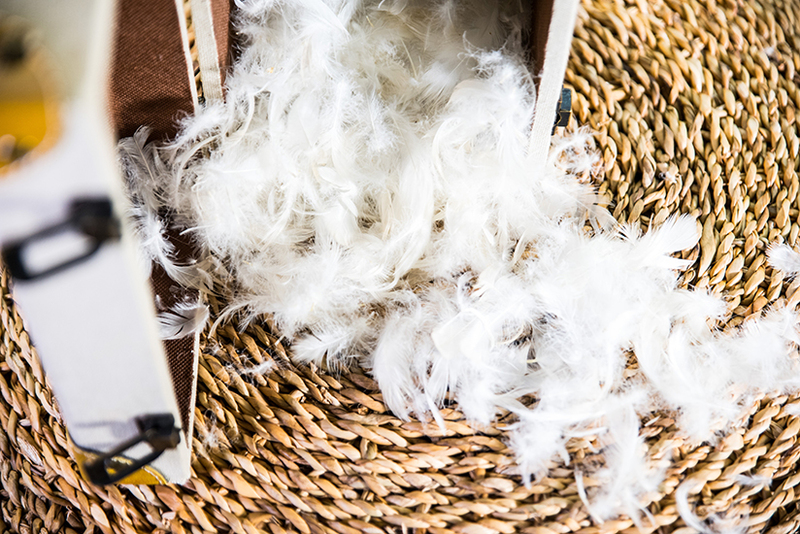 When compared to a synthetic product, the use of a feather/down feather product shows that the release evaporation of perspiration to the exterior increases 10/15 times more. Due to the anti-mites special treatment that all our products are subjected to, people suffering from «domestic dust» allergy can enjoy a peaceful and relaxing sleep.